Marc Mulhaire is a firefighter based in Thurles, County Tipperary, who’s facing into 12 or 13 hour stints with his colleagues, tackling fires in the current drought. He was speaking in Thurles, at the official launch of Setanta College’s Wellness Programme for Tipperary Fire & Rescue Service. It’s the first of its kind in this country and it aims to support the health and wellness of firefighters, who are facing extreme conditions around the country. Two years ago, management in the Tipperary Fire & Rescue Service approached Setanta College with the idea of taking a long-term view on the issue. Dave Carroll is the county’s Chief Fire Officer. Detailed screening of 40 firefighters, across areas like fitness, nutrition, BMI and movement patterns. On the basis of the test results, Course Coordinator Luke Jordan devised six-week intensive training plans for each firefighter. One student from each fire station in Tipperary signed up for a 10-week Functional Screening course at Setanta College. It gave them the skills to work with colleagues in identifying faulty movement patterns and assign exercises to remedy them, ultimately helping to prevent injuries and improve performance while on callouts. All students were signed up to a 10-week resistance training course and to help with that, four fire stations are installing gyms, to help members train on an ongoing basis. 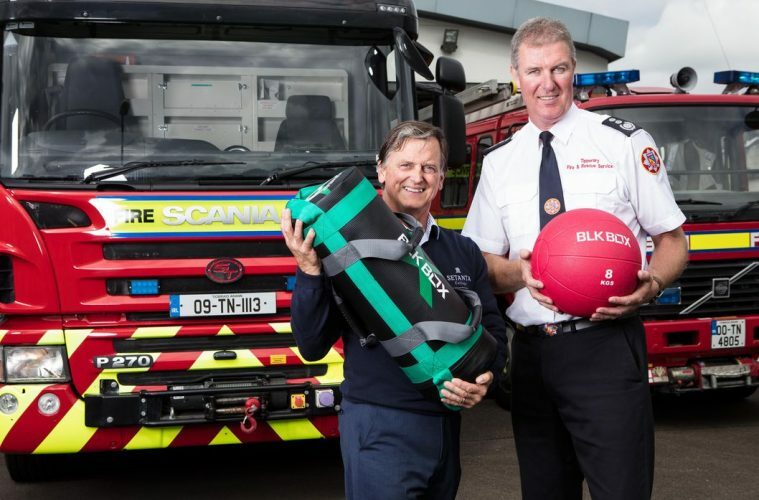 The gyms are being kitted out with equipment sourced from BLKBOX in Belfast, and plans are underway to have a gym fitted in every Tipperary fire station by the end of next year. Next ArticleAre You Eligible for an ‘Almost Free’ Course for Those in Employment?